FEBRUARY 2016 update for you my friends! Since we last spoke, I have endeavored to embrace the editing process and take a fresh look at the material for my upcoming book release. Currently I’m on to chapter four of the re-write, that is quite enhancing the style and descriptive language, as well as to a lesser extent the story itself. As thus far I haven’t made any major changes to the arc, rather improved upon what was already there. Still searching for that sweet spot in terms of being direct with the story telling and letting the reader do their share of the heavy lifting creatively. As you certainly want to stoke the fires of imagination, but once the blaze is burning cozily, you need to let it be! Curious what I’m currently reading? 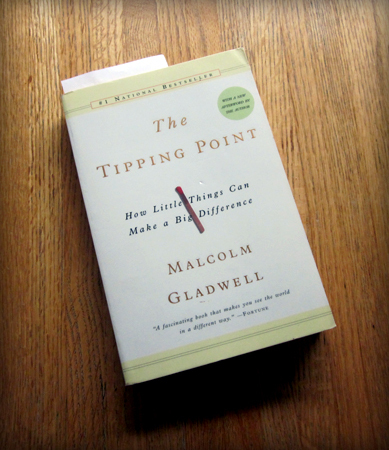 On my shelf you’d discover that I am halfway through ‘The Tipping Point’ by Malcolm Gladwell. Have read other titles by this exceptional author, researcher, journalist, comedian, philosopher (he really defies normal conventions) and never fail to get something profound out of his work. Enjoying where this title is taking my brain and for any up and coming author, I’d say it is a very good read to consider ways to share that which you’ve labored on so intensely. Or rather to understand what society requires to move ideas and speak to the collective in a way that promotes a call to action. One goal I have for next month, or at least once the current re-writes are finished and I switch to working on the illustrations, is to take my work outside of the studio/office. As much as I like this space, and I have kept it as calming and bright as possible, I’d enjoy doing some drawing elsewhere. Where do you find you do your best creative work? I quite like the idea of drawing out in nature, but mosquitoes, or sand + wind seem to convince me otherwise, haha. Looking forward to continuing this series of updates and sharing more of this new project that I’ve kept closely under wraps for months and months now!